Peerwith experts are very often members of societies and associations and recipients of awards given during their professional career. 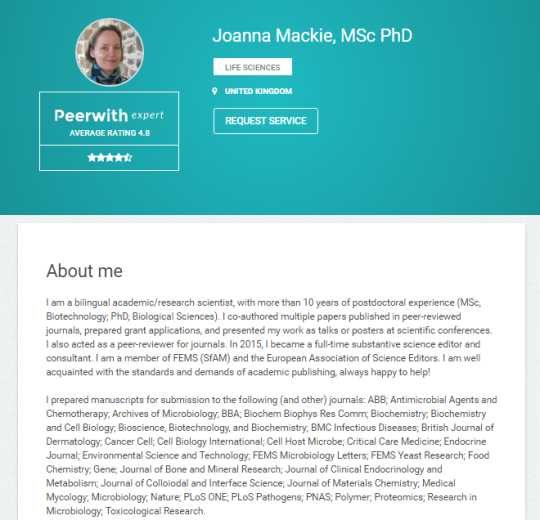 At Peerwith, we frequently receive requests to highlight memberships and achievements on expert profile pages. We recognize the value for authors of being able to see a full expert profile with highlighted memberships and achievements. For this reason and to meet the wishes of our valued experts we are launching the Peerwith.Expert Partner Program. We are pleased to launch this new program in partnership with Cambridge Assessment English. We already allow experts to add memberships and awards to their profile pages as unverified badges. Via the Peerwith.Expert Partner Program, experts can request a special mention on their expert page of a certain membership or qualification. Take a look at the profiles of two of our Peerwith experts, Glenna and Jeannine, whose memberships and qualifications are now highlighted on their profile pages. Additionally, Peerwith is partnering with societies and associations to verify memberships and qualifications and will add a “Verified by Peerwith” stamp against highlights that have been verified with the relevant body. As our launching partner, Cambridge Assessment English supports verified badges. We expect to announce more editing societies and associations joining this program shortly. Our goal is ultimately to create a filter mechanism on Peerwith to help clients select the best possible expert for their needs. Memberships and qualifications will be an additional filter to help in this process.